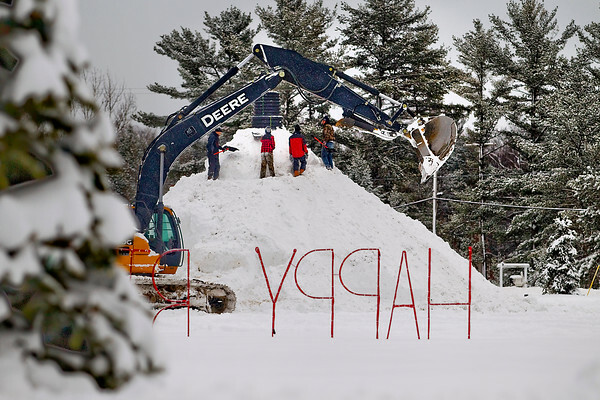 A group works to build a snowman over 30-feet tall outside the Culver Meadows Senior Living on North West Silver Lake Road in Traverse City on Saturday morning. Brad Jewett, who owns the facility with his wife Trina, teamed up with Alpers Excavating to build up the mound of snow that was then carved into a snowman. "We just do it to bring some cheer to people," said Jewett. "To have a smile instead of a frown. Jewett said they last built a snowman in 2013 that was about 25 feet tall.